Patch, embed or anchor, Concremate expands and grips as it dries, embedding the item in the surrounding material. Mixed to a workable mortar-like consistency, Concremate sets in 30 minutes and sets harder than concrete in 28 days. An expanding element in Concremate offsets drying shrinkage (often a problem in similar products), which causes it to grip embedded items and surrounding material with bulldog tenacity. Expansion is 1/8%. Concremate quickly and firmly embeds objects like hand-rails, bolts, brackets or fixtures in concrete, stone, tile, plaster and terrazzo. The bond is strong and durable and defies severe strain, stress and vibration. Use as high pressure grout. Concremate makes quick work of repairing holes and cracks in walls, ceilings and floors. A patch or plug of Concremate locks itself into place by expanding within the void and will not crack or let go when subjected to normal heat or pressure. It must be able to expand on drying. 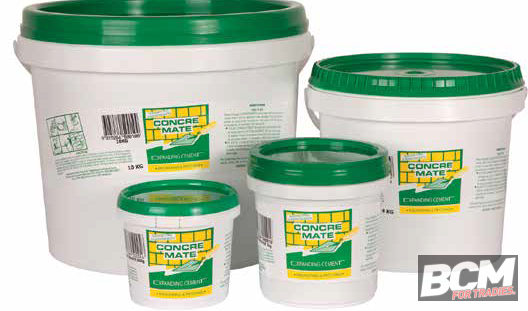 Concretemate can be used to patch or embed items in: brickwork, plaster, stone, terrazzo, tiles, concrete and more. After about 30 minutes, sprinkle patch with water, then light traffic may traverse floor patches. After one hour resume normal traffic. Pour enough Concremate for the job at hand into a clean container. Don’t mix more than can be applied in 10 minutes, and don’t add cement, sand or any other substance. Gradually add water until the desired consistency is reached. To achieve Fluid Consistency (for pouring) stir in about 400ml of water per 1kg of Concremate. Final consistency should be a thick paste similar to pancake batter. If too thin, add more Concremate. It is always advisable to wear gloves. 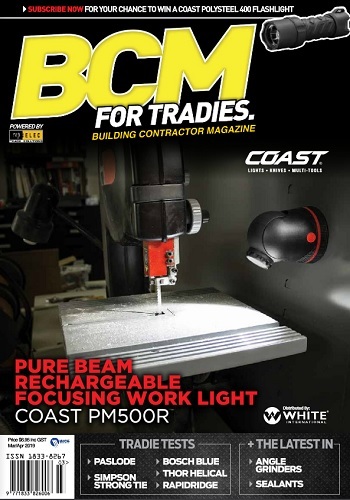 Available from Bunnings Warehouse and leading Industrial Suppliers.